Italy will no longer rescue immigrants sailing from Libya. 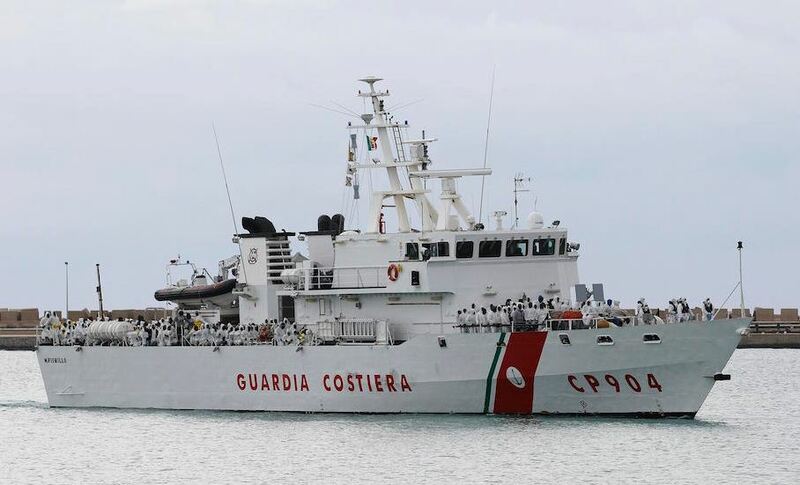 They have withdrawn their Italian Coast Guard and instructed captains of vessels that from now on, ships in the area off Libya should apply for help to the Libyan Coast Guard. Up to now, the Italian Coast Guard has played an important role in coordinating refugee rescue operations outside its own waters. According to Maritime Law, the coordinator of a rescue operation must provide the refugees with a safe haven. Italy will no longer provide that status off the coast of a foreign country. Ital began recusing ships back in 2015. Under Maritime Law, once they did that, they were obligated to give them shelter. Here back in 2015, they recused 1,000 but most of these are just men, not families with women and children.